Microsoft Edge is the modern browser available to you in Windows 10. Microsoft has continuously improved the browser in different Windows 10 versions released so far. In Microsoft Edge, the page prediction feature helps you to improves your browsing experience. As the name suggests, the feature is entitled to predict pages you’d likely to load. This prediction is a result of your browsing habits, smarter technology which can automatically detect page navigation etc. So overall, this will obviously make your browsing faster. Here’s how you can manage page prediction feature in your Microsoft Edge browser. 3. Under Privacy & security, you’ll find Use page prediction heading. Toggle the option to On to enable this feature. The feature is however, enabled by default. To disable the feature, simply toggle the option to Off. This setting will applied with an immediate effect. You can also configure the same setting using registry, as mentioned below. 4. Set the Value data to 1, to enable page prediction feature. To disable the feature, set Value data to 0. 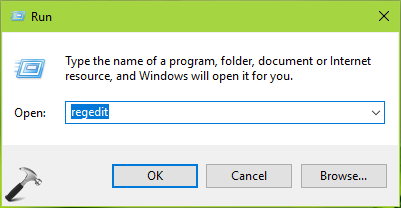 Click OK, close Registry Editor and reboot. So this is how you can configure page prediction feature in Microsoft Edge.